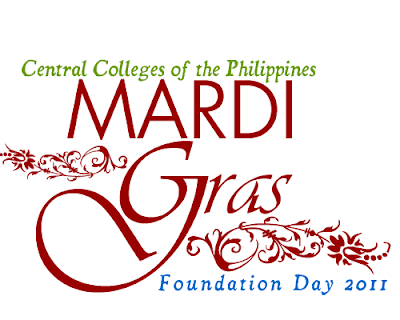 MARDI GRAS at the Central Colleges of the Philippines! Last year, I blogged about the schools foundation day although I was quite busy knowing the activities, but since I became more involved with the school this year, we had meetings on how the foundation day will be celebrated and the theme is now MARDI GRAS as it falls near the great celebrations this February. The Central Colleges of the Philippines will celebrate its 57th founding anniversary with a lot of activities like battle of the bands, school fair, and a lot of interesting booths! This is one big celebration that you should not miss! I will be posting the schedule of activities in a few days, so tell your friends to visit CCP and have a great party! CARNIVAL! Remember the date February 10-12, 2011. ART IS A BANG: Ani ng Sining Philippine Arts Festival 2011! Its almost February and we can have a lot of fun with Art at the Philippine International Arts Festival 2011, check on the poster for schedules and activities! 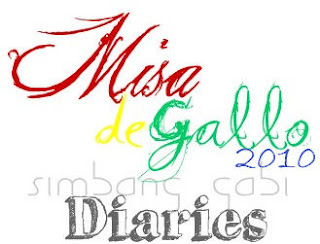 And to kick it off, they have this event this January 30 and the festival runs the whole month! So art lovers arise! Blah Blah Blogs: Ang Tunay na BBB! Unang una, nais ko sabihin na ang nag-iisa at walang katulad na BBB ay walang iba kundi ang BLAH BLAH BLOGS! Halos malurkey na ang buong blog world dito sa Pinas sa pagsulpot ng issue ng Big Bad Blogger, nung una ay hindi naman siguro kailangang pagusapan pa ang ganitong balita dahil medyo madalas na mangyari na ang mga ito, ngunit sa pagkakataon na ito, napansin ko sa loob lamang ng kaunting panahon, tulad ng apoy ay kumalat at lumaki na ito hanang nakaabot sa sa iba't ibang sulok. Nahihiwagaan pa rin ang karamihan, kasama na ako sa tunay na Big Bad Blogger (ayokong isulat na BBB dahil blah blah blogs ito, oks lang kahit mag type pa ako ng extra). Blah Blah Blogs: NABULABOG ANG ZODIAC UNIVERSE! Tila nabulabog ang ang Zodiac universe sa pagsali ng Ophiucus sa horoscope. Pero sa totoo lang, matagal na palang nakapwesto dun ang constelation ngunit hindi na ito na-consider na mapabilang sa super elite group ng zodiac. Ang ibig sabihin ng Ophiucus ay "serpent-bearer" at hawak nito ang Constelation na Seprens. Ngunit kahit kadikit na ito ang iba pang signs ay hindi na ito binilang. Kailan lang ito napagusapan muli nang nabangit sa isang pagaaral na nag-'shift' ang posisyon ng mundo sa kalawakan matapos ang ilang dang siglo at dapat na daw ibilang ang Ophiucus sa zodiac. At sa ganitong pangyayari, makaling shift din ang naganap sa zodiac dates at horospope. Pero paliwanag ng mga Astrologers, hindi naman sa posisyon ng mga bituin nababatay ang horoscope at astronomy kundi sa pwesto ng mga planeta na bihira naman magpalit ng pwesto sa labas ng kanilang orbit. The most popular one day multi-arts festival features more than 80 shows and 2000 participating artists led by the Resident Companies of the CCP. Artists perform previews of the upcoming music, theater and dance season. The festival also features visual arts exhibits, film screenings, storytelling sessions, an arts and crafts market. All you can see, pay what you can. The ageless tradition lives on of the oldest and probably the longest procession in the country happens again in Manila. And today is my 8th year joining the procession. Thank God that the date falls on a Sunday in which I don't have a shift on that day. Most of us would know what happens on this feast, that there will be a lot of people, not just hundreds, not just thousands but millions! This would make manila the most dense place on that day! Amazingly enough that there are people that actually came from near and far provinces. GIRLS! Do Wanna be Discovered? REEL DEAL: Gulliver's Travels PLUS Scrat's Continental Crack Up! There is Something I Want You to Know about Minute Maid! I didn’t believe it the first time I heard it’s got no preservatives added. So I read the ingredients (even the fine print) and everything checked out! It really has NO PRESERVATIVES ADDED! That means it doesn’t have ingredients that may turn out to be allergens, or worse...carcinogens! Whew! Now that’s healthy goodness that tastes so good, I... was surprized with what I have found and feels at ease knowing that what I drink inside is as real as the real fruit itself! I suddenly remembered that through the years I have been drinking preservatives! Now knowing of a healthy option, so its OK to have it everyday! 'LIKE' and Win With SM CYBERZONE! Get a chance to win laptops or mobile phones with SM Cyberzone’s “I Like” Promo! 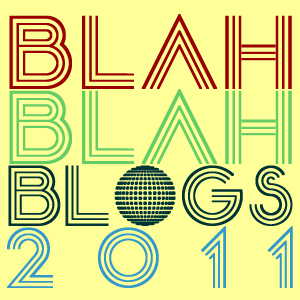 Blah Blah Blogs! JUAN MINUTE! This 2011, start the year right. be in the spotlight! Coming this year will be the year I will make video blogs! Presenting JUAN MINUTE! Details will be given soon... also I want to post some of my plan for this 2011. not like a resolution but goals to achieve this year probably a good way of reminding me what will I do this year here are my eleven main goals and the sub-goals and mirco-goals will be discussed next time I am very positive to achieve them and they would be very successful. 1. Be nominated for the Philippine Blog Awards 2. 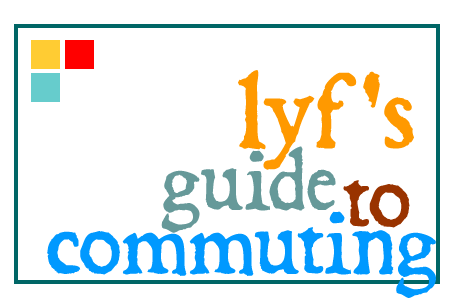 Publish the 'Manual to lyf' book 3. Submit an entry (and hopefully win) for the Palanca Awards 4. Win/Buy a new laptop (very needed) 5. Upgrade to a DSLR camera 6. 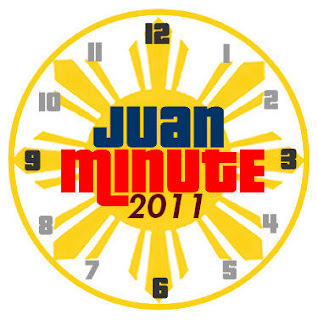 Launch JUAN MINUTE and other video blog projects this year 7. To be/have my radio show 8. To attend WORLD YOUTH DAY in Madrid Spain! 9. To be more active in advocacies and charities this year. 10. To do more projects in cosplay, komiks (KRISIS KOMIX), and Theater 11. To graduate!